Reporter is an iPhone app for understanding the things you care about. With a few randomly timed surveys each day, Reporter can illuminate aspects of your life that might be otherwise unmeasurable. A simple process for building understanding. Start with infrequent and unpredictable prompts to report. The report flow is built to be lightweight yet powerful, binding automatic measurements with manual surveys. Built-in visualizations reveal aggregate activities as soon as you start reporting. Reporter has been refined to capture the most information with the lowest friction. Custom interfaces for adding location, people, numbers and multiple choice help streamline the answering process. Pre-populated answers and smart suggestions make completing surveys a breeze, and the more you report the faster it gets. Using results from Foursquare and your address book, Reporter minimizes typing with helpful suggestions for places and people. Reporter is built for personalization and privacy. 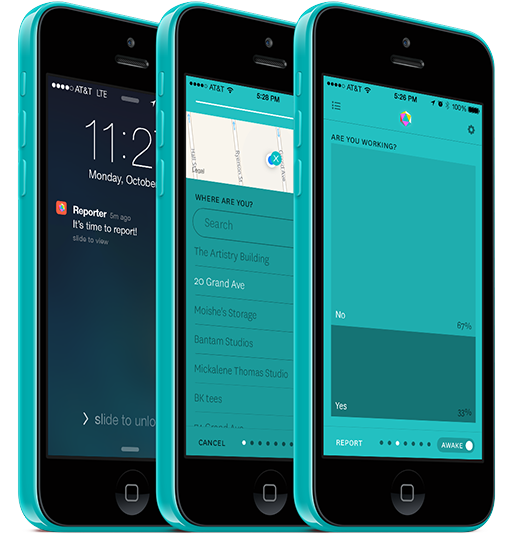 Make Reporter your own by defining the questions, sensors, visualizations and even color of the app. 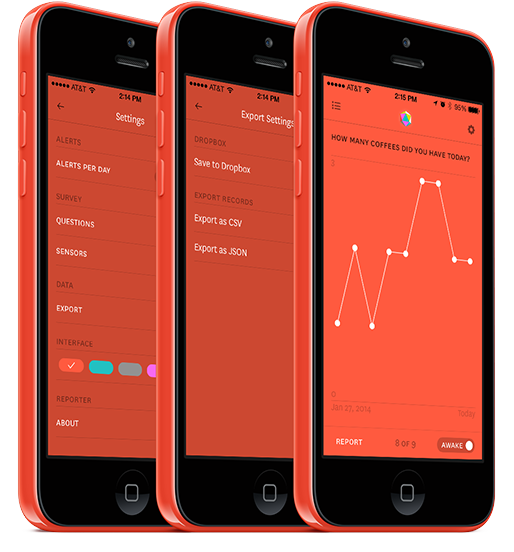 Your reports are your own, and will only leave the app if you choose to export or sync them. All of your data is available as CSV or JSON formats and can even be continually saved to Dropbox. From Feltron, DrewB and Friends.